Coriander (Coriandrum sativum L.) is steam-distilled from the seeds of a plant in the parsley family. This oil is known for its woody, spicy, and sweet aroma. Coriander essential oil contains analgesic, antibacterial, antifungal, antioxidant, antirheumatic, antispasmodic, and stimulant health properties. Coriander most directly affects the digestive and hormonal systems. Historically, coriander was used by the Chinese for dysentery, piles, measles, nausea, toothache, and painful hernias. Today, this essential oil is commonly used to help with cartilage injury, degenerative disease, muscle aches, muscle development, muscle tone, and whiplash. Other uses for this essential oil include anorexia, arthritis, colds, colic, diarrhea, digestive spasms, dyspepsia, flatulence, flu, gout, infections, migraines, nervous exhaustion, neuralgia, poor circulation, rheumatism, and stiffness. Topical Application: Coriander essential oil can be applied neat (with no dilution) directly on location or to reflex points. Aromatic Application: Aromatically, coriander is a gentle stimulant for those with low physical energy. It also helps one relax during times of stress, irritability, and nervousness. It may also provide a calming influence to those suffering from shock or fear. Internal Application: This oil is recognized as safe for human consumption by the FDA. Coriander also serves as a wonderful flavoring agent in many recipes. Safety Data: Coriander should not be taken internally by children under the age of 6 and should be used with caution and in greater dilution for children 6 years and older. With its powerful aromatic influence, coriander adds a nice touch to some of your favorite diffuser blends. Here are just a few diffuser blends you can try out! Diffuse a blend of 1 part coriander and 2 parts lemon using an aromatherapy diffuser for 15 minutes daily. Coriander essential oil can add an amazing flavor to any of your favorite meals. Here are some of our favorite recipes that use coriander essential oil! Coriander essential oil can help to improve circulation, so it can be very effective in a massage oil. For an invigorating massage, combine 1 oz. (25 ml) Sweet Almond Oil with 3 drops coriander, 3 drops frankincense, 2 drops lime, and 2 drops rose in a small bowl or 1 oz. bottle. Gently rub a small amount into your muscles. Modern Essentials™: The Complete Guide to the Therapeutic Use of Essential Oils, 9th Edition, p. 56. Lime (Citrus aurantifolia) essential oil is cold-pressed from the peel of the fruit. Lime oil is distinguished by its sweet, tart, intense, and lively aroma. This oil contains antibacterial, antiseptic, antiviral, restorative, and tonic health properties. Historically, lime was used as a remedy for dyspepsia. It was also often used in place of lemon for fevers, infections, sore throats, and colds. This essential oil is known for its powerful effect on the digestive, immune, and respiratory systems. This oil is commonly used to help with bacterial infections, fever, gum/grease removal, and skin (revitalizing). Other possible uses of lime essential oil include anxiety, blood pressure, dissolving cellulite, improving clarity of thought, energy, gallstones, lymphatic system cleansing, nails (strengthening), nervous conditions, sore throats, water and air purification, and promoting a sense of well-being. Topical Application: Can be applied neat (with no dilution) directly to the area of concern or to reflex points. It makes an excellent addition to bath and shower gels, body lotions, and deodorants. Aromatic Application: Diffuse, or inhale the aroma directly. Lime essential oil has a lively fragrance that is stimulating and refreshing. The aroma can help you to overcome exhaustion, depression, and listlessness. Internal Application: Lime oil is recognized as safe for human consumption by the FDA and makes a great flavor addition to food and drinks. Safety Data: Lime oil is known to cause photosensitivity, so it is advised that you avoid direct sunlight for 12 hours after topical application. The sweet yet tart aroma of lime essential oil makes it a nice addition to diffuser blends. 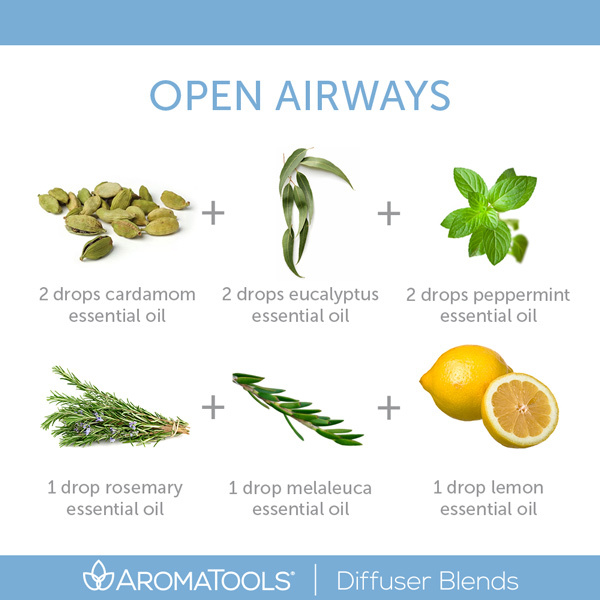 You can diffuse it alone, or combine it with some of your other favorite oils. Here are a few diffuser blends we like! Lime is common flavor in both sweet and savory dishes. Since this essential oil comes from the peel of the fruit, it serves as a replacement for lime zest. You can substitute 1 tsp. (2 g) zest with 1 drop of lime oil in any recipe. Here are some of our favorite recipes using lime essential oil. There are so many great uses of lime essential oil. In this recipe, lime oil adds to the amazing aroma, but it also helps to revitalize your scalp. The best part is that this hair pomade also serves as an amazing lotion for your hands and lips. Click here for the recipe! The health properties of lime essential oil are incredible and can even help to purify your water. We also can’t forget about how good lime-flavored water tastes, so we’ve made up a few flavored water ideas for you to try out! These make a perfect refreshing drink for summer activities and parties. Essential oils add a nice touch to a warm, soothing bath. We’ve created a few blends for you to add to your next bath. Just add the blend to 1/2 cup (125 g) epsom salt, stir well, and add under the running tap. Swish your hand through the bathwater to help it disperse properly. Modern Essentials™: The Complete Guide to the Therapeutic Use of Essential Oils, 9th Edition, p. 87. Marjoram (Origanum majorana) essential oil is steam-distilled from the leaves of the plant. This oil has antibacterial, anti-infectious, antiseptic, antisexual, antispasmodic, arterial vasodilating, digestive stimulating, diuretic, expectorant, sedative, and tonic health properties. Marjoram is known for its herbaceous and spicy aroma. Historically, marjoram was used to combat poisoning, fluid retention, muscle spasms, stiff joints, bruises, and respiratory congestion. Today, some of the primary uses of marjoram essential oil include arthritis, bone spurs, carpal tunnel syndrome, colic, constipation, croup, expectorant, neuralgia, muscle aches and fatigue, pancreatitis, Parkinson’s disease, physical stress, sprains, stiffness, and tendinitis. Marjoram essential oil can also help anxiety, boils, bruises, burns, celibacy, colds, cuts, fungal and viral infections, hysteria, menstrual problems, ringworm, shingles, shock, sores, and sunburns. Topical Application: Can be applied neat (without dilution). Apply directly to the area of concern and to reflex points. Aromatic Application: Diffuse, or inhale the aroma directly. The aroma of marjoram essential oil promotes peace and sleep. Internal Application: Marjoram is generally recognized as safe by the FDA for human consumption and can be used as a flavoring agent. Safety Data: Not to be used internally by children under 6 years old, and should be used with caution and in greater dilution for children 6 years old and older. Should be used with caution during pregnancy. Tendinitis can be extremely painful. Try applying a drop of marjoram on location, then cover with a cool pack for 15 minutes. Repeat whenever necessary. 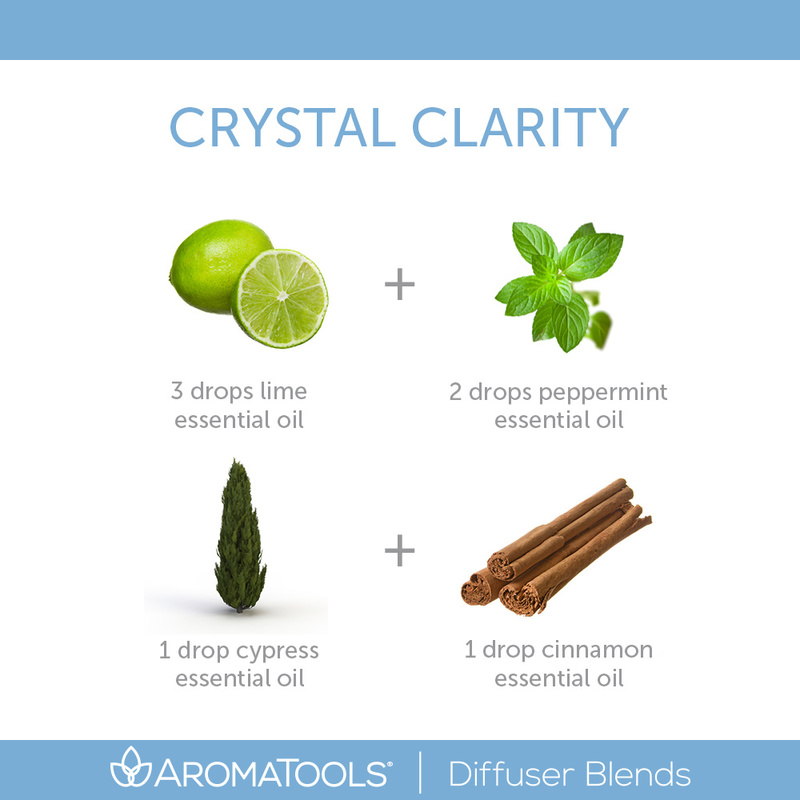 Diffuser blends are a simple way to use your favorite essential oils. Here are a few blends that we created for you to try out so you can enjoy the aroma of marjoram essential oil. Roll-on blends are a great way to maximize the use of multiple essential oils, and they’re so easy to apply. Here are some simple blends to help you start using marjoram essential oil topically. Each of these blends should be combined with 2 tsp. (10 ml) of carrier oil in a 10 ml roll-on bottle, then applied directly to the area of concern. Marjoram is a commonly used herb in many recipes, and you can easily use the essential oil as a replacement. Here are a few recipes we have that include marjoram essential oil for you to try out. Using marjoram essential oil in a massage oil has many benefits. Marjoram essential oil is great for muscle spasms, can serve as a sedative to your nerves, and promotes relaxation. Combine any of these blends with 1 Tbsp. (15 ml) of your favorite carrier oil to reap the benefits! Modern Essentials™: The Complete Guide to the Therapeutic Use of Essential Oils, 9th Edition, pp. 90–91. Cypress essential oil (Cupressus sempervirens) is steam-distilled from the branches of the cypress conifer tree. This oil is known for its fresh, herbaceous, slightly woody aroma with evergreen undertones. Cypress was used anciently for its benefits to the urinary system and other fluid loss such as diarrhea, perspiration, and menstrual flow. The Chinese value cypress for its benefits to the liver and the respiratory system. This essential oil contains the following health properties: antibacterial, anti-infectious, antimicrobial, mucolytic, antiseptic, astringent, deodorant, diuretic, lymphatic and prostate decongestant, refreshing, relaxing, and a vasoconstricting. Cypress is known for its effects on the cardiovascular system, muscles, and bones. Common uses of cypress essential oil include aneurysm, carpal tunnel, concussion (brain), deodorant, hemorrhoids, herniated disc, Lou Gehrig’s disease, muscle fatigue, nosebleed, shingles, stroke, tuberculosis, and varicose veins. Other possible uses of cypress are asthma, reducing cellulite, circulatory system functioning, colds, spasmodic coughs, diarrhea, edema, fever, gallbladder, hemorrhaging, influenza, laryngitis, lung circulation, nervous tension, ovarian cysts, skincare, scar tissue, whooping cough, and wounds. Topical Application: Can be applied directly to the skin without dilution. Apply to reflex points and directly to the area of concern. Aromatic Application: Cypress influences and strengthens and helps to ease the feeling of loss. It creates a feeling of security and grounding, and it helps to heal emotions. Internal Application: Not to be used internally. Safety Data: This oil should be used with caution during pregnancy. Many children have problems with wetting the bed, but no worries—essential oils can help with that! Simply combine 5 drops cypress and 3 drops ylang ylang with 1 oz. (30 ml) water in a small spray bottle. Shake well before use, and mist over pillow and sheets just before bedtime. 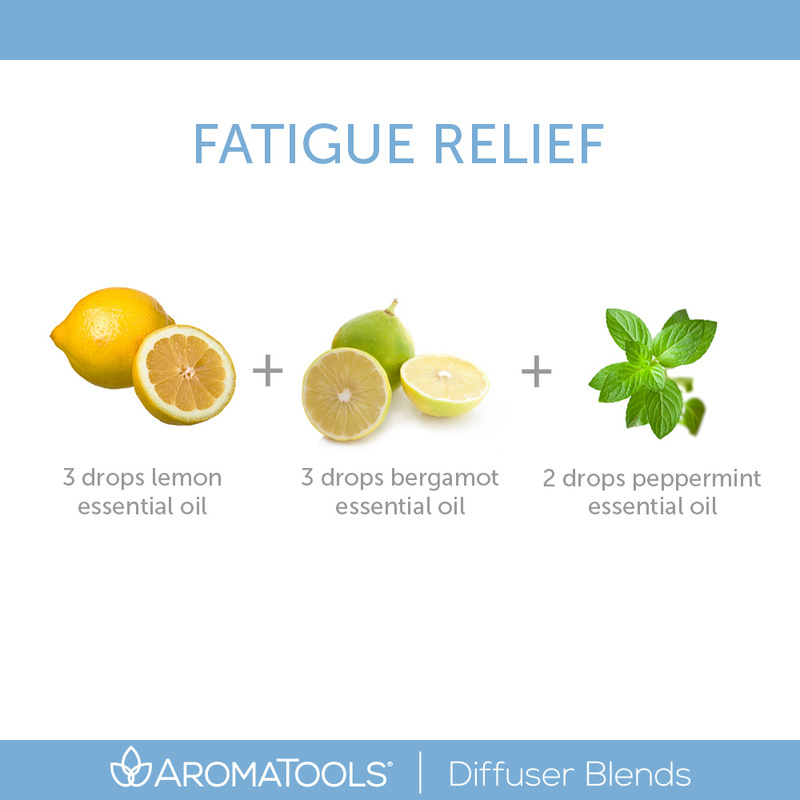 Diffusing is a great way to reap the benefits of this fantastic oil. You can diffuse the oil alone, inhale directly from the bottle, or add it to some of your favorite oils to make a great diffuser blend! We’ve included some of our favorite blends with cypress to get you started! Because of the wonderful circulatory, skin revitalizing, and relaxation properties of cypress, it makes a great addition to any massage blend. You can add the suggested carrier oil or another of your choice. Here are some simple blends that you’ll love! Combine the oils together in the palm of your hand, and gently massage into the arm starting at the shoulder and continuing down to the fingertips. Pay special attention to the wrists and other areas of pain. Combine the oils together in your hand, and slowly massage into your legs, gradually massaging in deeper to help the muscles fully relax. Roll-on blends are a great way to spread essential oils easily to any location. We’ve created a few blends for you to try out. Just drop these oils into a 10 ml roll-on bottle, and top off with your favorite carrier oil. Roll the mixture on the affected location, and lightly massage in with your hands if necessary. Cypress can effectively stop nosebleeds. Combine 2 drops cypress, 1 drop helichrysum, and 2 drops lemon in 8 oz. (240 ml) ice water. Soak a cloth in the water, and apply the cloth to the nose and back of the neck. Modern Essentials™: The Complete Guide to the Therapeutic Use of Essential Oils, 9th Edition, pp. 77–78. Basil essential oil (Ocimum basilicum CT linalool) is steam-distilled from the leaves, stems, and flowers of the basil plant. This oil is characteristically known for its herbaceous, spicy, anise-like, camphorous, and lively aroma. Anciently, basil was used to treat respiratory problems, digestive and kidney ailments, epilepsy, poisonous insect or snake bites, fevers, epidemics, and malaria. The French have historically used basil to help aid migraines, mental fatigue, and menstrual periods. Today basil is most commonly used for autism, bee/hornet stings, bronchitis, carpal tunnel syndrome, cramps (abdominal), earache, hiatal hernia, incisional hernia, infertility, mouth ulcers, muscular dystrophy, ovarian cyst, and viral hepatitis. This essential oil primarily affects the cardiovascular system, muscles, and skeletal system. Basil contains antibacterial, antidepressant, anti-infectious, anti-inflammatory, antioxidant, antispasmodic (powerful), antiviral, decongestant (veins, arteries of the lungs, prostate), diuretic, disinfectant (urinary/pulmonary), energizing, stimulant (nerves, adrenal cortex), and uplifting health properties. Other possible uses of basil oil include anxiety, chills, concentration, digestion, fainting, insect repellent, chronic mucus, vomiting, and whooping cough. Topical Application: Basil can be applied neat (with no dilution) directly to the area of concern and reflex points. Dilute with a carrier oil when using on sensitive skin or children (see safety data below). Aromatic Application: Diffuse, or inhale the aroma directly. The aroma of basil helps one maintain an open mind and increases clarity of thought. Internal Application: Basil is recognized as safe for internal consumption by the FDA and may be used as a food flavoring agent or taken in capsules. Safety Data: Basil is not to be consumed internally by children under 6 years old and should be used with caution and in greater dilution for children 6 years old and older. The use of this oil should be avoided during pregnancy. Basil should not be used by people with epilepsy. This oil may also irritate sensitive skin; test by applying to a small area before continuing application. There’s nothing like a simple soothing massage with some of your favorite essential oils to calm your mood. Try these massage blends to help boost your mental health and aid carpal tunnel syndrome. Combine essential oils with your favorite carrier oil or butter, and lightly massage into your neck, hands, and feet. Blend oils together, and massage gently into your arm from your shoulder down to your fingertips. You can also make this massage oil in a roll-on bottle for easier application. Basil is great for helping to dull painful earaches. Add 1 drop each of basil and melaleuca to a cotton ball, and hold over the ear canal for 30 minutes. Do not place directly into the ear canal. Basil’s aroma can have an amazing influence, as it helps one maintain an open mind and increases clarity of thought. Try out some of these diffuser blends to help you focus and engage better in all your endeavors. Bath salts are perfect for relaxing, but they are also a great way to soak up the benefits of essential oils. Try out the following recipe to help calm your anxiety and energize your body. Remember that basil may irritate sensitive skin, so be careful and dilute further if necessary. Combine salt and baking powder. In a separate bowl, mix essential oils with almond oil. If desired, mix in a few drops of food coloring. Slowly stir oils into the salt mixture, and blend well. Allow the salts to sit for a couple hours in order for the salt to soak up the scent. Add 1/2–1 cup (125–250 g) of salt mixture to your bath under the running tap. Basil essential oil is a great ingredient to add to your kitchen. This oil can add rich flavor to any of your recipes with just a drop or less. When adding basil essential oil to your food, start with a toothpick dipped in the oil and stirred into the mixture, and add more until you reach the desired taste. Keep in mind that cooking (or heating) the oil tones down the bold flavor. Here are some of our favorite recipes with basil essential oil! Modern Essentials™: The Complete Guide to the Therapeutic Use of Essential Oils, 9th Edition, pp. 38–39. Rosemary (Rosmarinus officinalis) essential oil is steam-distilled from the flowering rosemary plant. It is known for its herbaceous, strong, camphoraceous odor, with woody-balsamic and evergreen undertones. The aroma of rosemary can stimulate memory and open the conscious mind. Historically, the rosemary plant was regarded as sacred by many civilizations and was used to protect against infectious diseases. Today, rosemary essential oil is most commonly used for addictions (alcohol), arthritis, cancer, cellulite, constipation, diabetes, fainting, flu (influenza), inflammation, lice, low blood pressure, sinusitis, and vaginal infections. Rosemary affects the immune, respiratory, and nervous systems and contains the following health properties: analgesic, antibacterial, anticancer, anticatarrhal, antifungal, anti-infectious, anti-inflammatory, antioxidant, and expectorant. Other possible uses of rosemary essential oil include bronchitis, colds, nervous exhaustion, immune system (stimulate), preventing respiratory infections, and stress-related illnesses. Topical Application: Rosemary essential oil can be applied neat (with no dilution), or dilute 1:1 (1 drop essential oil to 1 drop carrier oil) for children and those with sensitive skin. Aromatic Application: Diffuse, or inhale aroma directly. The aroma of rosemary stimulates memory and opens the conscious mind. Internal Application: Take in capsules, or place 1–2 drops under the tongue. Rosemary can also be used as a flavoring in cooking. Safety Data: Avoid using rosemary during pregnancy. Not for use by people with epilepsy. Avoid if dealing with high blood pressure. Not to be used internally for children under 6 years old; use with caution and greater dilution for children 6 years old and over. With the incredible properties of rosemary essential oil, you can’t resist trying it in this “Study Buddy” diffuser blend to aid you in your studies or whenever you need a mental boost. 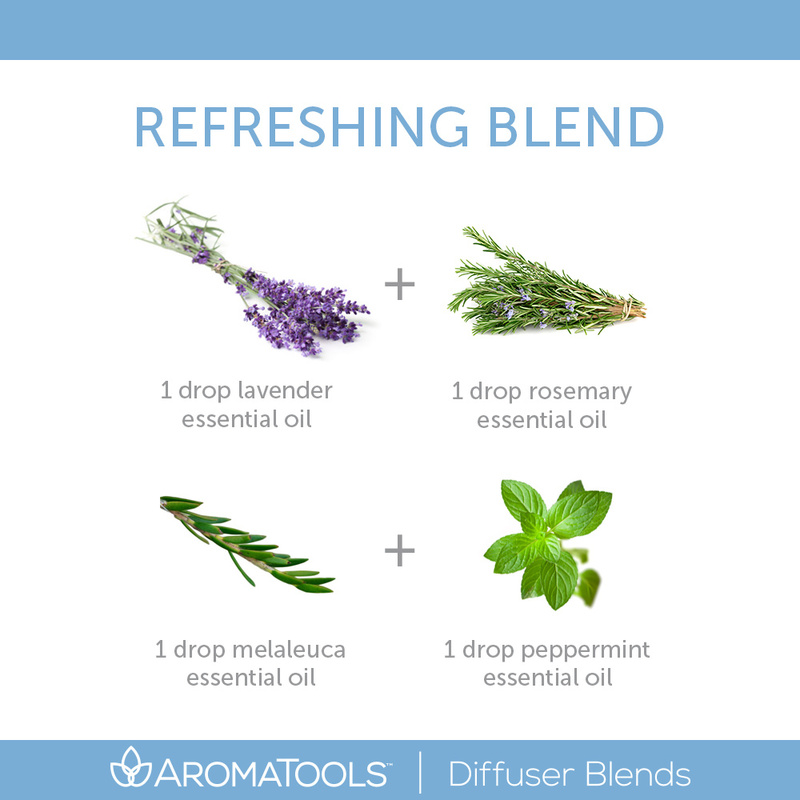 Also try some of these other blends with rosemary to enhance your life! Rosemary is extremely valuable when it comes to roll-ons. These great roll-on blends are sure to help with constipation and joint soreness. Just add these oils to a 5 ml roll-on bottle, and fill the remainder of the bottle with fractionated coconut oil or another carrier oil of your choice. Apply to stomach and back, and gently massage in. This is a 4% dilution, so it is safe to use daily or as needed. Apply on location, and then apply an ice pack on top. This is a 10% dilution, so it should not be used daily. If you would like to use this roll-on daily, add the same amount of essential oils to 2 tsp. (10 ml) of fractionated coconut oil in a 10 ml roll-on bottle. Baths have always been regarded as a simple way to relax, calm nerves, and energize the body. Try some of these easy bath ideas using rosemary essential oil for a nice pick-me-up. Just combine the ingredients, and dissolve 1/2 cup (120 g) of salt mixture under the running tap for a soothing warm bath. Massage is a great way to use rosemary because of its anti-inflammatory properties and how it affects the nervous system. Try this massage blend for a soothing and stress-relieving massage. Modern Essentials™: The Complete Guide to the Therapeutic Use of Essential Oils, 9th Edition, pp. 94–95. Frankincense (Boswellia frereana, Boswellia carterii, Boswellia sacra) essential oil is steam-distilled from the gum/resin of Burseraceae trees and shrubs. It is well known for its rich, deep, warm, balsamic, and sweet odor. Frankincense has been used historically as a holy oil in the Middle East. Today it is primarily used for arthritis, asthma, balance, brain (injury), cancer, depression, inflammation, memory, scar prevention, and warts. Frankincense contains anticatarrhal, anticancer, antidepressant, anti-infectious, anti-inflammatory, antiseptic, antitumor, expectorant, immune stimulant, and sedative health properties. Other common uses of frankincense include aging, bronchitis, diarrhea, herpes, meningitis, sciatic pain, stress, tonsillitis, and wounds. It contains sesquiterpenes, enabling it to go beyond the blood-brain barrier, and can also help the body against infection. It affects emotional balance, the immune and nervous systems, and skin. Topical Application: Frankincense can be applied neat (with no dilution) directly to the area of concern. Aromatic Application: Diffuse, or inhale the aroma of frankincense directly. The aroma of frankincense helps to focus energy, improve concentration, and minimize distractions. Internal Application: Frankincense can be taken internally. Place 1–2 drops under the tongue, or take in a capsule. Dilute 1 drop oil in 1 tsp. (5 ml) honey or in 1/2 cup (125 ml) of beverage. Safety Data: For internal application, frankincense is not for children under 6 years old and should be used in greater dilution for children 6 years old and older. Here are some great diffuser blends to help you concentrate and focus your energy. Add essential oils to a 10 ml roll-on bottle. Fill the remainder of the bottle with a carrier oil. Apply the formula to the area of concern (for the Communication Enhancement blend, apply to upper chest, back of the neck, and shoulders). These blends are a 5% dilution, so you can use them daily if needed. Confusion: Inhale frankincense aroma directly from bottle, or rub a drop on your hands and breathe in. Headache: Rub 1 drop each of lavender, peppermint, and frankincense to the base of your neck and forehead, then cup your hands and breath in deep. Inflammation from Injury: Combine 3 drops frankincense and 2 drops lavender in a bowl of cold water. Dampen a washcloth in the mixture, and hold on location for 15–30 minutes. Frankincense essential oil is helpful in lifting a depressed mood. Try using this massage blend when you are feeling a bit down. Combine these oils, and massage on the upper chest, back of the neck, and shoulders. Some common carrier oils for massage include Fractionated Coconut Oil, Sweet Almond Oil, and Jojoba Oil. Make a bath bomb with the following blend for a refreshing bath that is sure to help you breathe easy. You can also simply add this essential oil blend to 1/4 cup (60 g) epsom salt and add to your bath while filling. To learn more about this amazing essential oil, see the book Modern Essentials™: The Complete Guide to the Therapeutic Use of Essential Oils. Peppermint (Mentha piperita) essential oil is steam-distilled from the leaves of the plant. Its odor is minty, sharp, and intense. Some properties of this oil include analgesic, antibacterial, anticarcinogenic, anti-inflammatory, antiseptic, antispasmodic, antiviral, and invigorating. For centuries, peppermint has been used to soothe digestive difficulties, freshen breath, and relieve colic, gas, headaches, heartburn, and indigestion. Today, peppermint essential oil is commonly used for alertness, asthma, bacterial infections, chronic fatigue, cold sores, constipation, cooling, cramps/charley horses, dysmenorrhea, fever, flu (influenza), halitosis, headaches, heartburn, herpes simplex, hot flashes, hypothyroidism, indigestion, itching, lactation (decrease milk production), migraines, motion sickness, muscle fatigue, nausea, osteoporosis, sinusitis, throat infection, varicose veins, vomiting, and several other health conditions. The body systems affected by peppermint essential oil include the Digestive System, Muscles and Bones, Nervous and Respiratory Systems, and Skin. Research has shown that peppermint essential oil has helped increase endurance during exercise, decreased effects of gamma radiation exposure, reduced pain from headaches, reduced symptoms of irritable bowel syndrome, enhanced memory, reduced the intensity of nausea in cancer patients receiving chemotherapy, shown antibacterial, anti-inflammatory, and antiviral properties in various tests (one test showed peppermint essential oil inhibiting resistant strains of Staphylococcus, E. Coli, Salmonella, and Helicobacter pylori), aided digestion by reducing constipation and increasing bowel movement, relieved pain and symptoms of indigestion, and prevented seizures in mice. Research being conducted on peppermint continues to show new possible uses and therapeutic benefits that peppermint may possess. To learn more about a number of these research studies, including summaries and sources, please see the book Modern Essentials. Topical Application: Peppermint essential oil can be used neat (with no dilution), or it can be diluted 1:1 (1 drop essential oil to 1 drop carrier oil) for children and those with sensitive skin. Apply to reflex points and/or directly on area of concern. Aromatic Application: Diffuse, or inhale the aroma of peppermint essential oil directly. The aroma of peppermint is purifying and stimulating to the conscious mind and may aid with memory and mental performance. It is cooling and may help reduce fevers. Internal Application: Peppermint essential oil can be taken internally. Try placing a drop or two under the tongue, taking it in a capsule or in a beverage, or using it as a flavoring in cooking. Safey Note: Repeated use of peppermint essential oil can possibly result in contact sensitization. Use this oil with caution if dealing with high blood pressure or if pregnant. 3. Roll on for a quick energy boost or digestive support. Peppermint essential oil is great at increasing energy, alertness, and stamina. When you start to feel sluggish during the day and need a little pick-me-up, try rubbing this roll-on on your wrists, neck, or bottoms of your feet. You could also use the Rejuvenating or Fatigue Relief Massage Blend recipes above in a roll-on if you prefer (make sure to halve the recipe for daily use). Add oils to a 5 ml roll-on bottle, or double the recipe if using a 10 ml roll-on bottle. Fill the bottle the rest of the way with a carrier oil. If you plan on using this roll-on on a daily basis, use the drops suggested for daily use, then fill the rest of the roll-on bottle with a carrier oil. Peppermint oil is also known for supporting the digestive system and can help with constipation, diarrhea, indigestion, irritable bowel system, nausea, vomiting, and gastric ulcers, among other digestive issues. Try rubbing this roll-on blend over your stomach when your digestive system needs a little help. Add oils to a 5 ml roll-on bottle, or double the recipe if using a 10 ml roll-on bottle. Fill the bottle the rest of the way with a carrier oil. If you live in a hot climate, these Frozen Eucalyptus Mint Towels may be a lifesaver for you! They are also great for using while you are outside doing yard work or watching your kids at the park. Add a drop of peppermint oil to your water on a hot day. This is a great idea for hiking trips or occasions when you are outside all day. Mix ingredients together. Add bath salts to the bathtub as it fills up with warm or cool water. Modern Essentials™: A Contemporary Guide to the Therapeutic Use of Essential Oils, 9th Edition, pp. 102–103. Cardamom essential oil (Elettaria cardamomum) is steam-distilled from the seeds of the plant. It has a sweet, spicy, balsamic scent with floral undertones. It has antibacterial, anti-infectious, anti-inflammatory, antiseptic, antispasmodic, aphrodisiac, decongestant, diuretic, expectorant, stomachic, and tonic properties. Anciently, cardamom was used for epilepsy, spasms, paralysis, rheumatism, cardiac disorders, all intestinal illnesses, pulmonary disease, fever, and digestive and urinary complaints. It is said to be able to neutralize the lingering odor of garlic. If you are acquainted with Indian food, you may associate the flavor and smell of this oil with sweet Indian dishes such as rice pudding, as the cardamom spice is a common ingredient in this dish and gives it a cool, minty aroma and taste. It may be that rice pudding is often served at the end of the meal because of cardamom’s ability to neutralize lingering odors that cause halitosis. Today cardamom is commonly used for coughs, digestive support, headaches, inflammation, muscle aches, nausea, and respiratory ailments. Cardamom may also help with appetite loss, bronchitis, colic, debility, dyspepsia, flatulence, halitosis, mental fatigue, heartburn, sciatica, ulcers, and vomiting. It may also be beneficial for menstrual periods, menopause, and nervous indigestion. Cardamom is most known for supporting the digestive and respiratory systems of the body. Topical Application: Cardamom essential oil is safe to use without dilution, but it can also be diluted as needed. Apply to reflex points and/or directly on area of concern. Aromatic Application: Diffuse, or inhale cardamom essential oil directly. The aroma of cardamom is uplifting, refreshing, and invigorating. It may be beneficial for clearing confusion. Internal Application: Cardamom essential oil can be taken internally and is often used as a flavoring in cooking. Put 1–2 drops of cardamom oil under the tongue or in a beverage. It can also be taken in capsules. Cardamom essential oil is helpful to the respiratory and digestive systems. It can also help relieve a headache. Rub the respiratory blends (below) on the chest, throat, back, and/or sinuses to help open airways and clear coughs. Rub the digestive blends on the abdomen to help reduce flatulence, bloating, belching, hiccups, and heartburn. Cardamom is a safe essential oil to use with children, so it is a great choice over peppermint to open their little airways and support their digestive systems. Add oils to a 5 ml roll-on bottle or 10 ml roll-on bottle depending on desired dilution percentage. Fill the bottle the rest of the way with a carrier oil. Common carrier oils for use in a roll-on bottle include Fractionated Coconut Oil, Sweet Almond Oil, and Jojoba Oil. Cardamom essential oil is excellent as a bath oil. Combine one of the following oil blends with 1/4–1/2 cup (60–120 g) epsom salt, and evenly disperse throughout the tub. Alternatively, you can add these essential oil combinations to these bath bombs. If you prefer taking showers, try adding the Congestion Bomb blend or cardamom essential oil to these shower disks. The steam from the shower and the cardamom essential oil can be beneficial to clearing congestion. Cardamom is beneficial in helping halitosis (bad breath) and is said to be able to neutralize the odor of garlic. Try adding cardamom essential oil to homemade breath mints, or use in a breath spray. Sources: Modern Essentials™: The Complete Guide to the Therapeutic Use of Essential Oils, 9th Edition, p. 45. Neroli (Citrus aurantium) essential oil is extracted from flowers of the bitter orange tree. Its scent is somewhat floral with citrus undertones. It smells sweet, delicate, and slightly bitter at the same time. The orange flower was named after the princess Anne-Marie, countess of Neroli, who used it to perfume her bath water. It is now considered one of the finest perfumery ingredients and is particularly important in eau-de-cologne toilet water. The flowers were once popularly used in bridal bouquets to symbolize innocence and fertility. Some properties of this oil include antibacterial, antidepressant, anti-infectious, antiparasitic, antiseptic, antispasmodic, antiviral, aphrodisiac, deodorant, sedative, and tonic. Historically, neroli has been regarded by the Egyptian people for its great attributes of healing the mind, body, and spirit. It brings everything into the focus of one and at the moment. Today, neroli essential oil is commonly used for anxiety, emotional balance, relaxing, sensitive skin, and stress. It may also support the digestive system and may help inhibit bacterial infections, parasites, and viruses. Other possible uses include insomnia, menopause, PMS, stress-related conditions, and skin conditions. The body systems affected by neroli essential oil include the digestive system and skin. Topical Application: Neroli essential oil can be used neat (with no dilution). Apply to reflex points and/or directly on area of concern. Aromatic Application: Diffuse, or inhale the aroma directly. The aroma of neroli has some powerfully soothing psychological effects. It is calming and relaxing to the body and spirit. It may also help to strengthen and stabilize the emotions and bring relief to seemingly hopeless situations. It encourages confidence, courage, joy, peace, and sensuality. Internal Application: Neroli essential oil can be taken internally. Try diluting 1 drop of neroli essential oil in 1 tsp. (5 ml) honey or 4 oz. (125 ml) of beverage (such as non-dairy milk). It is not to be used for children under 6 years of age and should be used with caution and in greater dilution for children over 6 years of age. Safety Note: Consult with a physician before using if pregnant or being treated for a medical condition. Neroli essential oil is very calming to the body and mind. When you get feeling too stressed or anxious, try massaging one of these blends into your tense muscles. Common carrier oils to use for massage include Fractionated Coconut Oil, Coconut Oil, Sweet Almond Oil, or Jojoba Oil. 3. Roll on for quick help in calming down or soothing digestive pains. Stress and anxiety follow us wherever we go, so making this Stress Relief Roll-on for on-the-go use can help during those difficult times. Neroli is also beneficial for those who suffer from insomnia or sleep issues, as it helps to relax the mind and calm any emotions that prohibit sleep. Try the Sleep Restfully Roll-on when you have restless nights. Aside from its calming and relaxing properties, neroli is also helpful for the digestive system and may help inhibit bacteria, infections, parasites, and viruses. If you are experiencing digestive pains, chronic diarrhea, colic, or intestinal spasms, try rolling the Digestive Support blend on your abdomen. Add oils to a 10 ml roll-on bottle. Fill the bottle the rest of the way with a carrier oil. Note: These recipes are formulated for 5–6% dilution in a 10 ml roll-on bottle (perfect for daily use if needed). For a stronger dilution, simply cut the amount of carrier oil in half, or use a 5 ml roll-on bottle. *Common carrier oils for use in a roll-on bottle include Fractionated Coconut Oil, Sweet Almond Oil, and Jojoba Oil. Neroli calms and slows the mind and is useful for insomnia, hysteria, and all states of anxiety and depression. Combine one of the following oil blends with 1/4–1/2 cup (60–120 g) epsom salt, and evenly disperse throughout the tub. Alternatively, you can add these essential oil combinations to these bath bombs. These blends can also be used in a diffuser, roll-on, or linen spray. The reputed aphrodisiac quality of neroli stems from its ability to calm any nervous apprehension that may be felt before a sexual encounter. Neroli can be a means of overcoming sexual difficulties that rise from anxiety or tension. The traditional use of orange blossom in bridal wreaths arose from this property of neroli, though it has long been forgotten. Neroli also helps in creating a peaceful atmosphere when it is used in meditation. Diffuse neroli essential oil (or the Peaceful Romance blend above), and rub a drop of the oil over the heart to achieve a calm heart and relaxed mind. Neroli is beneficial for all skin types, especially if there is dryness, redness, or irritation. Neroli stimulates the regeneration of new cells and the elimination of old ones, improving skin’s elasticity. It is generally helpful for all kinds of skin problems such as thread veins, scarring, and stretch marks. Try using the blend below as a facial cream or skin cream to help nourish your skin. Modern Essentials™: A Contemporary Guide to the Therapeutic Use of Essential Oils, 9th Edition, p. 96.